12ga Steel Top is formed down and under for rigidity and strength. 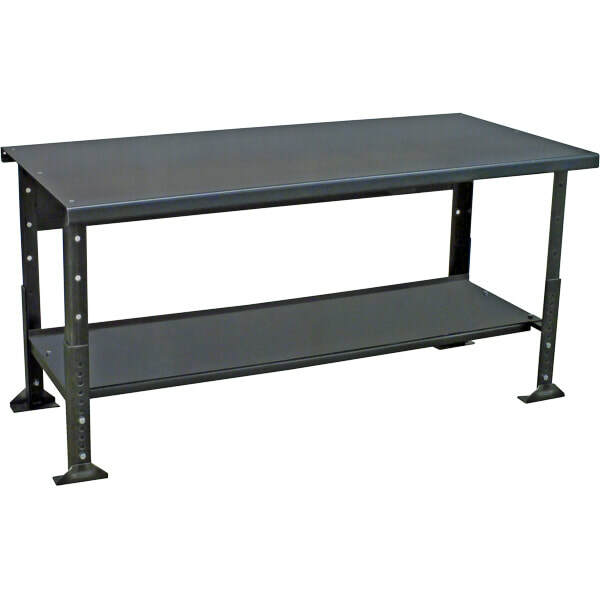 Two 200 Style Bench Legs secure the top and are adjustable in height on 1" increments. Formed 16ga 209 Style Stringer ties the legs together for rigidity. The 12ga 207 Style Lower Shelf is formed in the front and back. Pridecraft Model is bare steel coated with a clear polyuethane. Contact office for custom colors or stains.